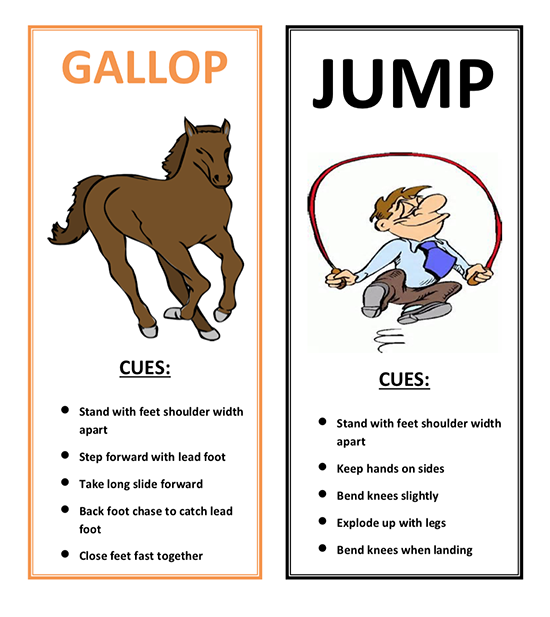 The teacher will scatter the hula hoops within the activity area and place 8 locomotor skill cards (images down below too) inside the hoop upside down. The teacher will also assign students a ï¿½teammateï¿½ (Teammate A and Teammate B). Teammates will find a personal space near a hula hoop. 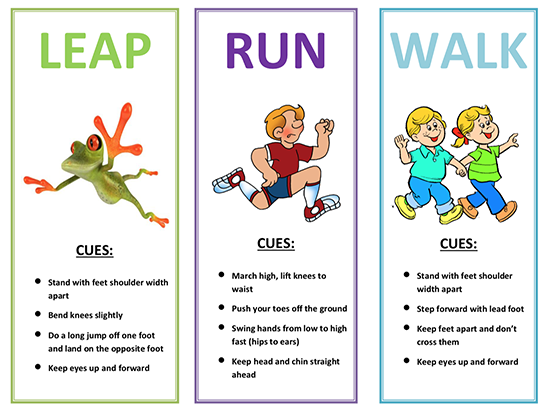 On a start signal, Teammate A picks up one of the locomotor skill cards and reviews the cues; then, hand the card to Teammate B. Teammate A will perform the locomotor skill within the activity area (approximately one minute) while Teammate B assesses (watches) their performance (looking for the cues). After the skill is performed, Teammate B discusses with Teammate A the cues performed EXCELLENTLY; and, the cues they think need improvement (approximately one minute)! 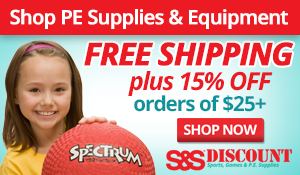 Once the discussion is complete, Teammate B places the locomotor skill card ï¿½right side upï¿½ in the hula hoop. 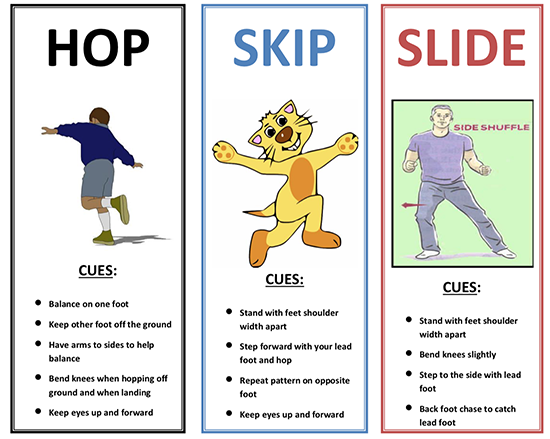 On ï¿½anotherï¿½ start signal, Teammate B picks up one of the locomotor skill cards and reviews the cues; then, hands the card to Teammate A. Performance and assessments continue; and, the locomotor skill card is placed right side up in the hoop. Teammates continue this routine until all of the cards are facing ï¿½right side upï¿½! Viewed 23950 times since 7/8/2018.